The recent Florida school shooting is spurring the Democratic gubernatorial field to press for new firearms restrictions, looking to draw a contrast with Republican Gov. Greg Abbott's response to the massacre — and touching on a sensitive subject in gun-loving Texas. Democratic hopeful Andrew White was the most outspoken Monday, traveling to Austin to meet with local members of Moms Demand Action, a national group pushing for laws to prevent gun violence. Speaking with reporters while being flanked by the moms afterward, White invoked recent remarks from Emma Gonzalez, a survivor of the shooting earlier this month at the Parkland, Florida, high school that left 17 people dead. "Today I call BS on Gov. Abbott," White said. "I call BS because you can support the Second Amendment and also support common-sense gun safety legislation. I call BS because the governor is in charge of the safety of 5 million school kids in Texas, and yet he's too afraid to do anything about it because he's protecting his A-plus NRA rating." White went on to call on Abbott to convene an "emergency special session to pass common-sense gun safety legislation." He specifically proposed instituting universal background checks and banning large-capacity magazines. In response to reporters' questions, he also voiced support for raising the age to buy an assault rifle from 18 to 21 and banning bump stocks, devices that make it easier to fire rounds more rapidly. 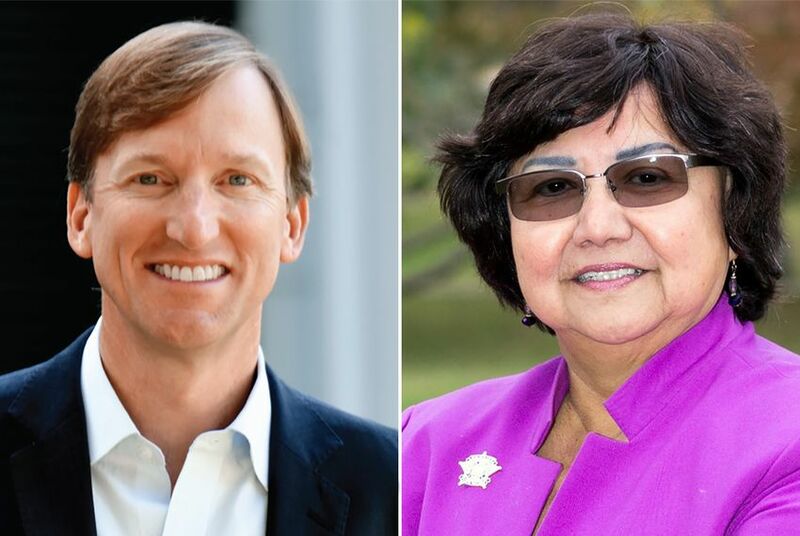 In a statement following White's appearance in Austin, primary rival Lupe Valdez called for a "comprehensive approach to gun violence, instead of a reactive approach." Valdez, the former Dallas County sheriff, echoed the need for universal background checks and a ban on high-capacity magazines, calling them "common-sense efforts we must take now." To be clear, White and Valdez are not the only candidates in the nine-way gubernatorial primary amplifying the need for new gun restrictions after the Parkland shooting. A third Democratic hopeful, Jeffrey Payne, wrote after the massacre about the need for a "system where we can keep military grade weapons off our streets and out of the hands of children," as well as a registry of who's purchased guns. Proposing new firearms regulations can be a politically tricky proposition in a beet-red state like Texas, which has a proud history of gun culture. The Democratic party's 2014 gubernatorial nominee, Wendy Davis, had backed open carry of handguns, a stance she admitted she regretted taking after losing to Abbott, then the attorney general, by a wide margin. On Monday, White brushed off a question about whether he was entering politically risky territory in Texas with his call for action on guns. "Do right and risk the consequences," he said, invoking the Sam Houston quote that he's made central to his campaign. In the wake of the Florida massacre, Abbott has ordered the Texas Education Agency to take steps to ensure the safety of students, pushed for fixing the federal background check database for gun buyers and emphasized the need to study the mental health issues that lead to such violence. Yet he has largely left questions about guns unaddressed following the shooting, and in a TV interview Friday he specifically expressed resistance to the idea of raising the age for purchases. "If, in this case, the age was 21 in Florida, do you think that would’ve stopped this guy from getting a gun and doing what he did?" Abbott asked during a Fox News appearance. "Do you think he was really concerned about the law? If he was concerned about the law, he would’ve said, 'Well, I can’t carry a gun into a gun-free zone like a school.' If he cared about the law, he wouldn’t have gone killing people." Abbott also has highlighted a Texas law that lets teachers arm themselves if they undertake training to become "school marshals." He touted the law during a meeting at the White House on Monday with President Donald Trump and other governors, getting a warm reception from the president. "Well, I think that's great," Trump told Abbott, according to a White House transcript. "And so, essentially, what you're saying is that when a sick individual comes into that school, they can expect major trouble. Right? Major trouble. The bullets are going to be going toward him, also. And I think that's great. And you know what's going to happen? Nobody is going into that school, Greg. That's a big difference." Abbott did not respond to recent questions from the Tribune about two gun control proposals drawing attention after the Florida shooting: raising the minimum age for buying semi-automatic rifles and banning large-capacity magazines. For some of the Democratic contenders, the issue could be as much about distinguishing themselves from one another as it is about Abbott. White's visit to Austin came two days after Valdez made a trip to California for fundraising and to speak at the state Democratic Party convention, where she offered brief remarks about keeping guns out of the hands of "people who cannot settle their disagreements other than with violence." Asked Friday if Valdez had adequately illuminated her views on guns following the Parkland rampage, White said he does not "know where she stands." "I’ve not heard what she’s said," White told reporters. "She’s been in California, and the gun issue is not on her website at all."